Something borrowed, something blue, and maybe an app to help get you through the happiest (and sometimes most stressful) day of your life. Nowadays, there are apps for every occasion and any need. At ABCey, we’ve compiled a list of the Top 10 Wedding Apps to make wedding planning into an easier and more enjoyable process. 1. 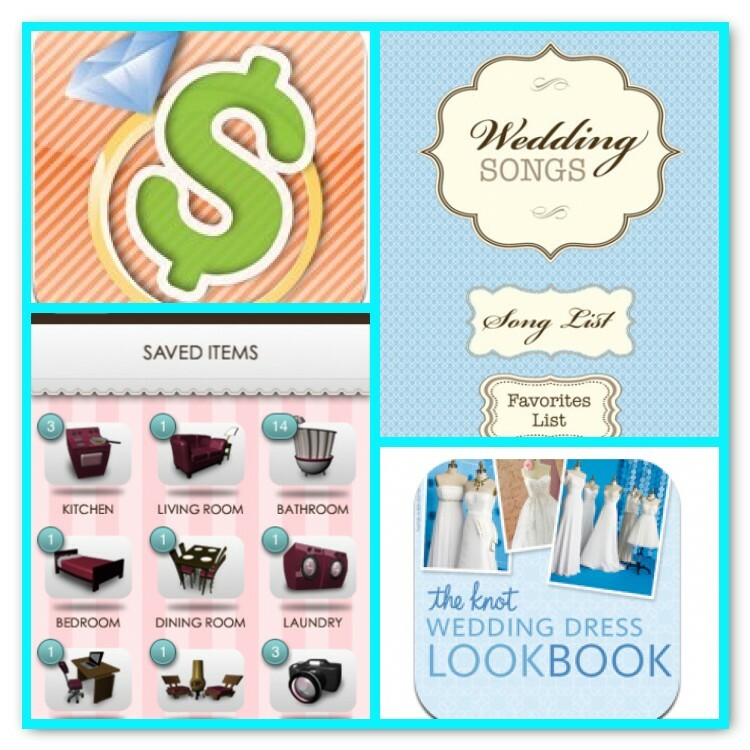 Wedding Song Planner – Professional: The name is pretty self-explanatory but the simple idea is pure time-saving genius. This app has song suggestions for every wedding moment, from the unity candle procession to the garter toss, all of which have been compiled by a professional wedding DJ. Better yet, it’s on sale for a limited time! 2. Projects: Though this app isn’t specifically created for wedding planning, its many features allow users to organize tasks and assignments in an efficient and manageable way. Users can keep track of the millions of things to do and view multiple tasks’ progress at once. Meeting with caterers, attending fitting sessions, ordering flowers to match the bridal party’s attire, creating a seating chart to accommodate relative’s temperamental needs – breathe, this app will help you get through all the madness. 3. Wedding Party: You send countless invitations to family members, distant relatives, and close friends but chances are, not everyone can attend even though they want to. The Wedding Party app gathers pictures taken during the wedding and organizes them into a timeline so absent guests can still be a part of the special day. 4. Yapp: Be ready for the unexpected with Yapp, a customizable app that will send your guests any updates and details about your wedding such as parking advice or location information. What’s useful about this app is that it allows you to send push notifications to guests should there be any last minute changes. After all, you already have enough to think about. 5. Wedding Scan: Creating a wedding registry is both fun and tiring. This app allows you to scan any item from any store and saves it for later, when you edit the list as you please. Not only does this help you organize the gifts you really want or need, but guests can also select from more options and price ranges. 6. Wedding Budget: Your special day is not only special but it can also become pretty pricey if you’re not careful. This app helps you organize where your money is going and how much is going where. You can track of what everything costs and how much money is left to spend within your budget. 7. Wedding Dress Look Book: With hundreds of dress pictures saved in its database, users can browse through different styles of dresses and select which fits their personality, shape and budget. To make this even more efficient, this app also provides listings of stores that hold your selected dresses. 8. Wedding Row: So many ideas, but where to put them? This app helps you organize all the great ideas you’ve gathered and lets you create a styleboard for easy access. Browse through other users’ styleboards and share your own for never-ending wedding inspiration. 9. myPantone Wedding & Events: Your wedding should reflect your personalities as a couple but coordinating colors, attire, and accessories can be tricky business. This app is professionally developed by color experts and wedding style specialists to help you combine color and creativity in an easy and fun way. 10. TripIt: What comes after the wedding? The honeymoon, of course! TripIt is a handy app that helps you plan your honeymoon (and any other big trips, for that matter) effortlessly. Create your vacation itinerary, keep track of your flyer accounts, and share travel plans with friends and family. After all, planning your honeymoon should be easy after planning the biggest event of your life. Have you or a friend ever used an app to help with the big day? Are there any that we missed? Let us know in the comments below or on Facebook & Twitter!